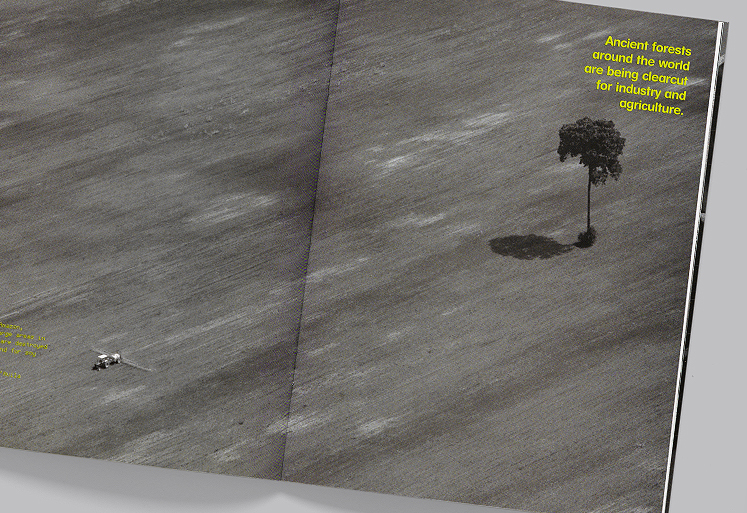 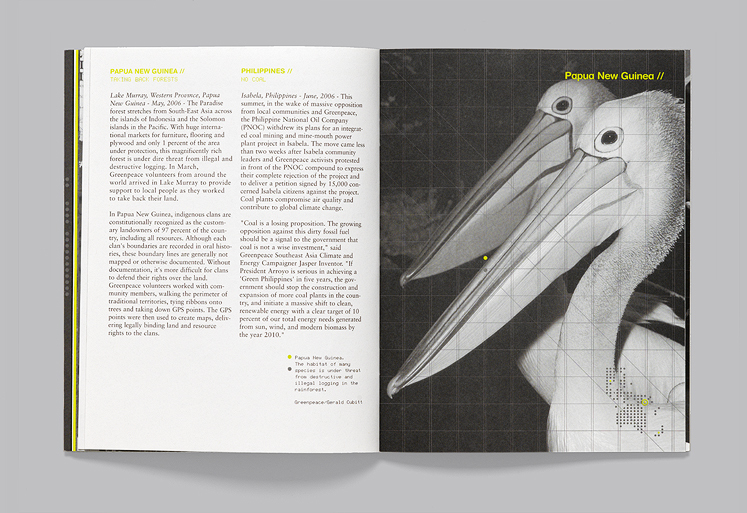 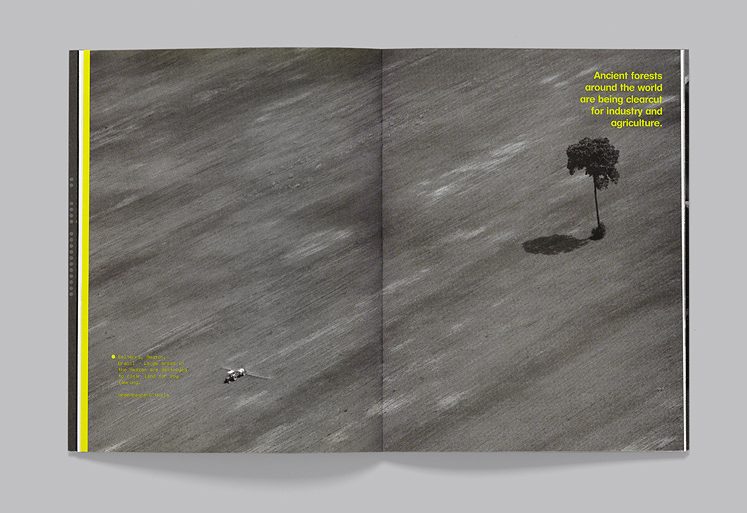 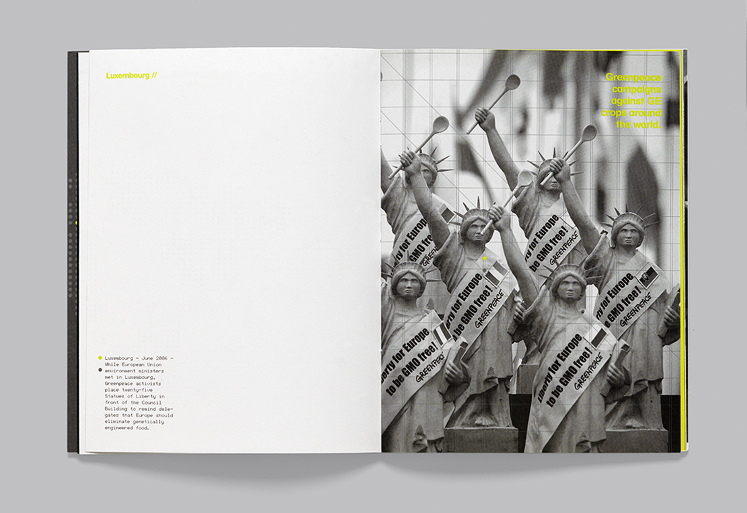 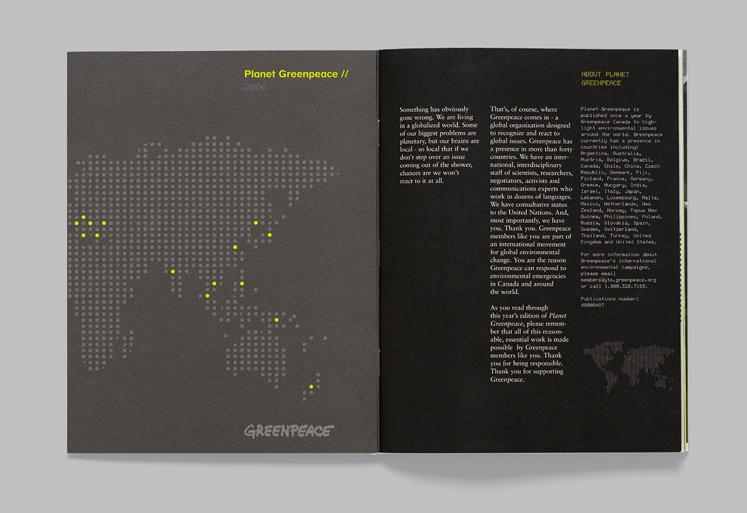 Planet Greenpeace is an exclusive publication highlighting Greenpeace’s extensive work around the world and sent to Greenpeace’s most determined and generous supporters. 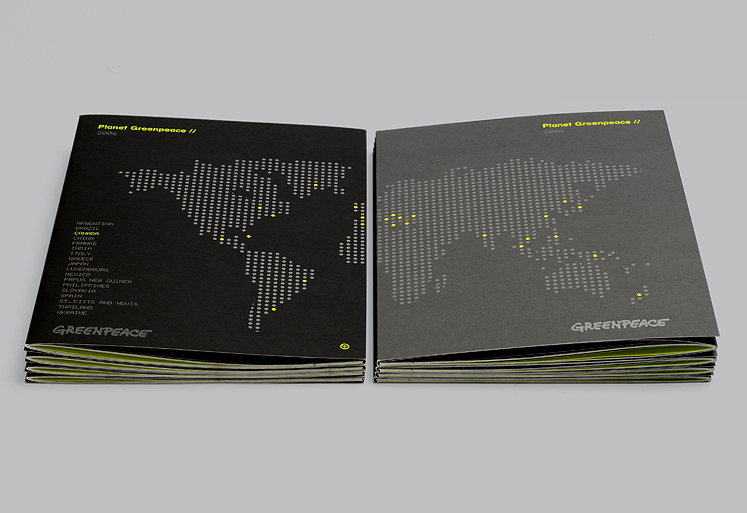 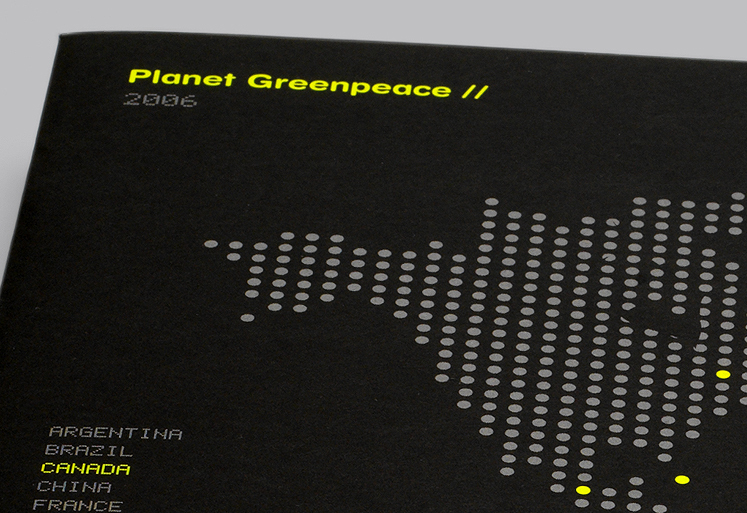 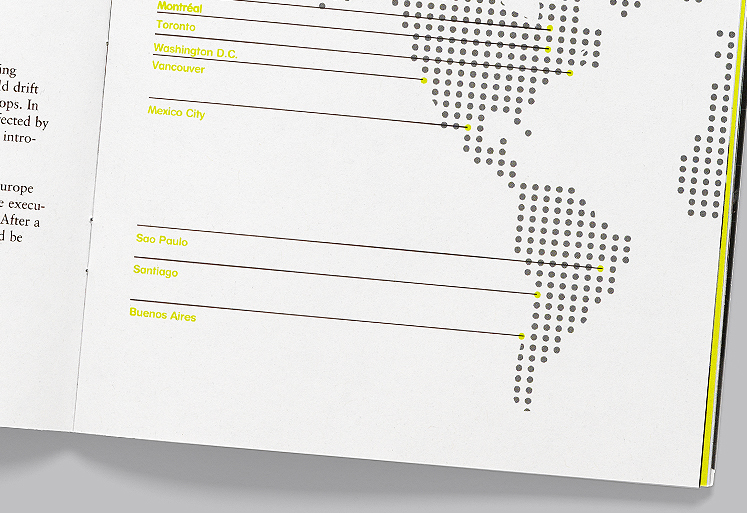 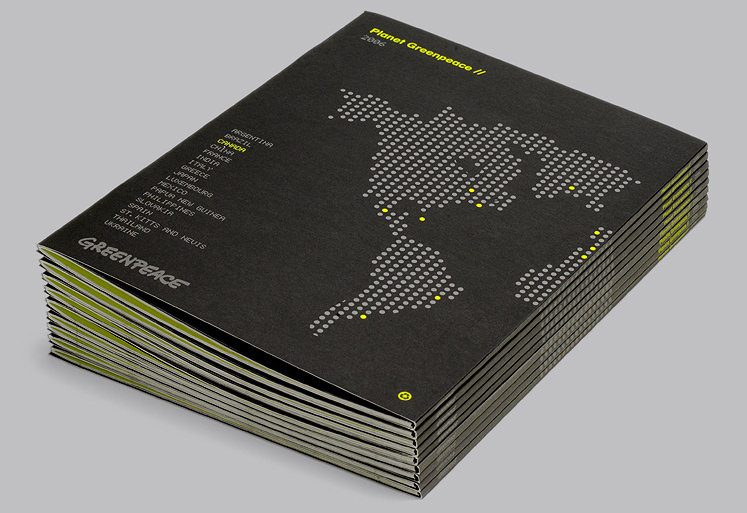 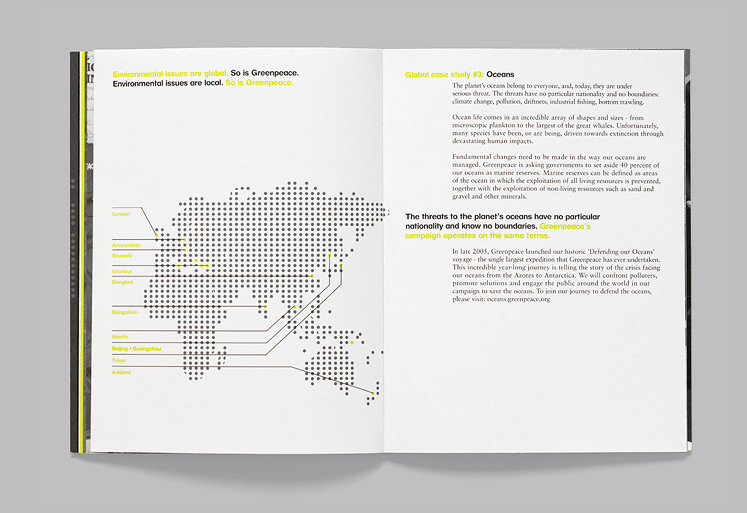 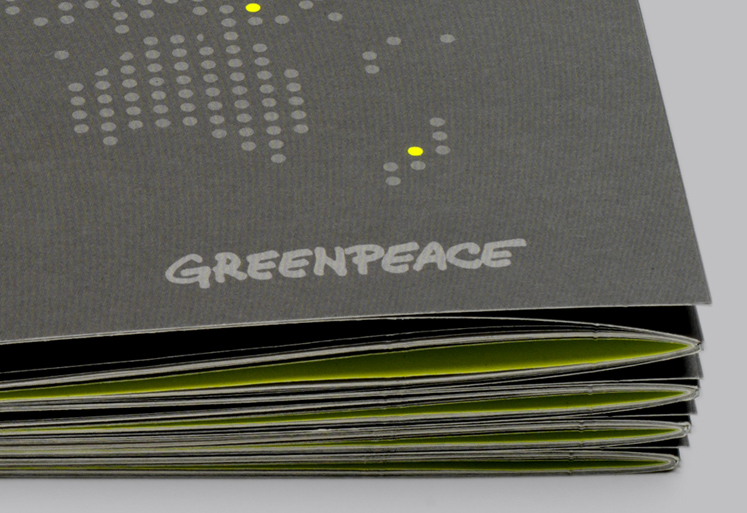 A visual language was developed around a dot matrix illustration of the world map to make direct reference to the global breadth of projects Greenpeace is involved in. 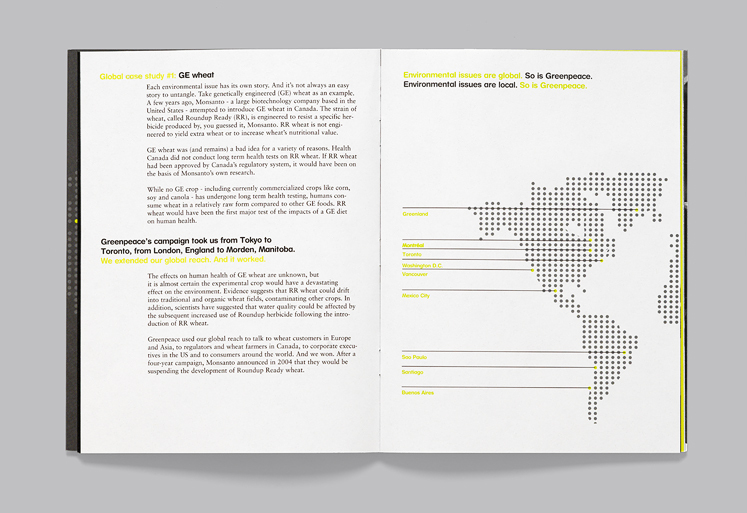 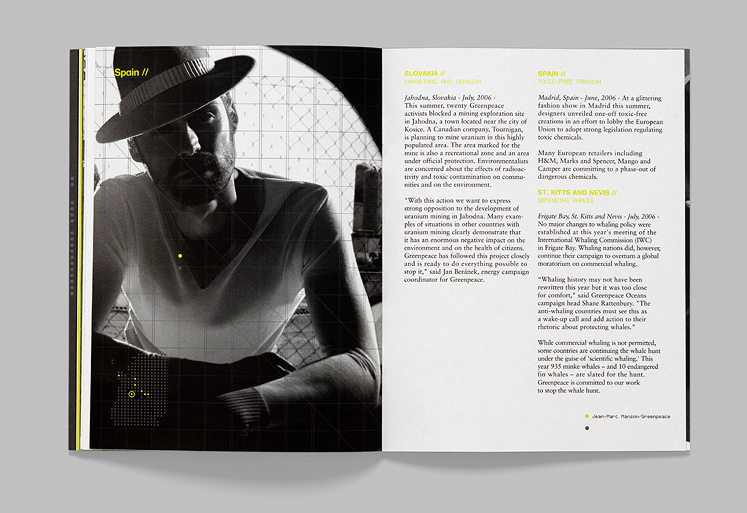 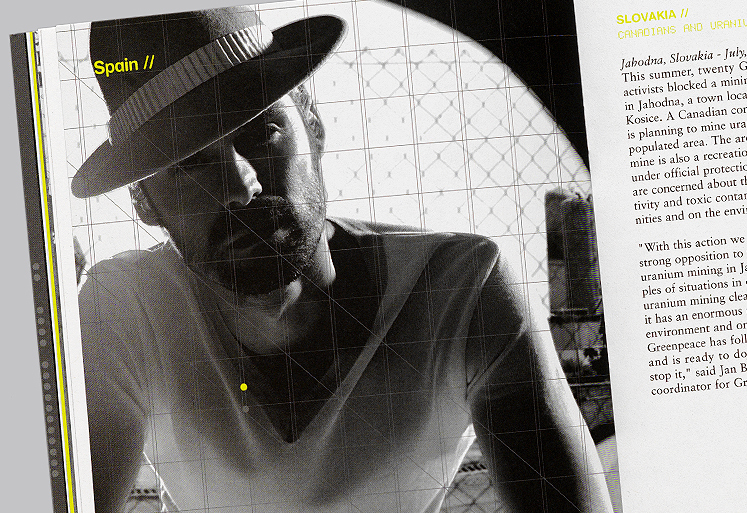 A simple typographic grid was developed allowing for an appealing use-friendly way to navigate throughout the book and to locate key facts. 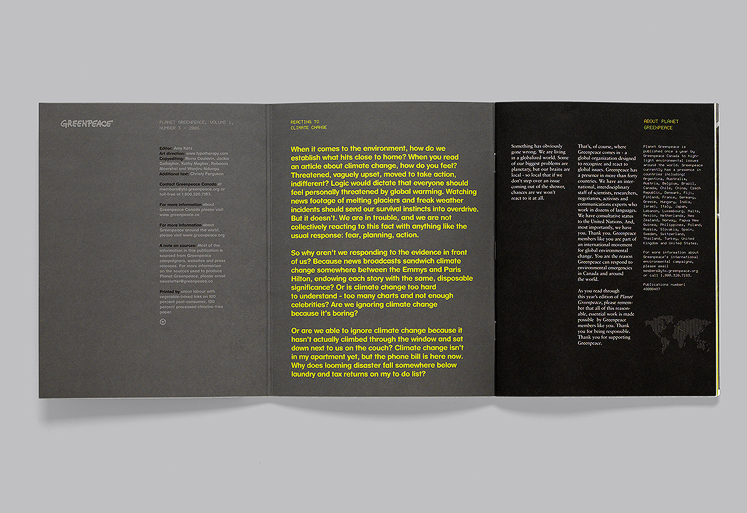 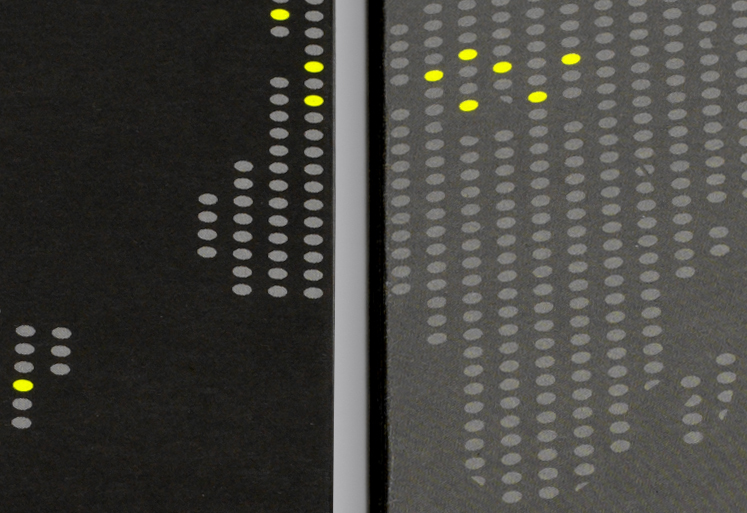 Two colours where chosen, yellow and black, for high contrast and a self-contained extended cover wrapped around the book to revealed the entire world map with emphasis on the featured countries, opposite the opening essay. 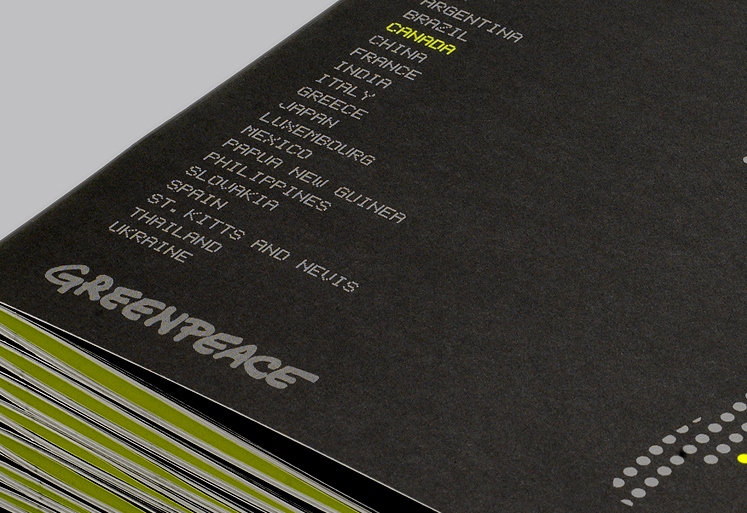 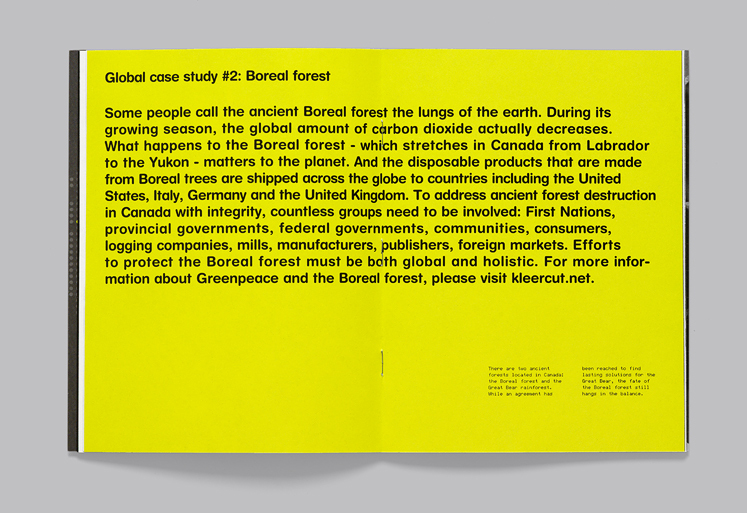 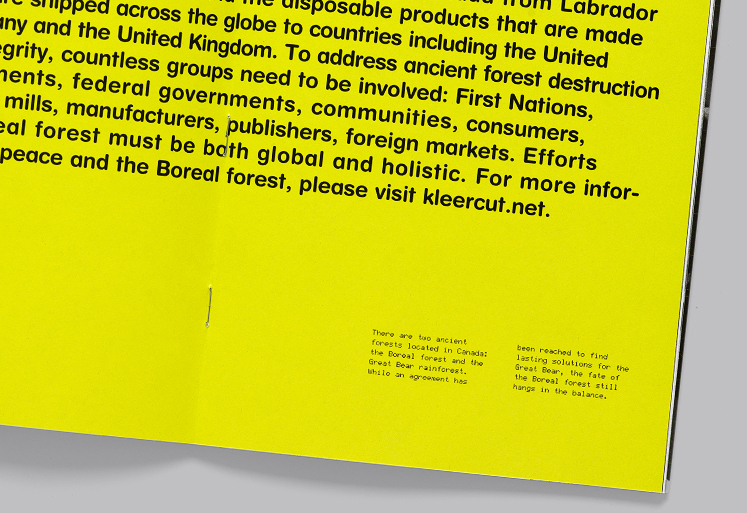 typotherapy continues to design Planet Greenpeace on an annual basis, among several other publications for Greenpeace Canada’s communications.